So while most bakers are ramping up their baking for the holidays, I've decided to take a little bit a of baking break. It might have something to do with the string of cakes I've done lately while working full time and doing my masters. Whew! I have to admit, I did a little baking today...just a touch. I made a quick batch of chocolate peppermint macarons - so quick that I barely waited for them to cool prior to filling them with peppermint buttercream. 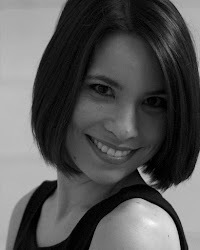 While I'm on a bit of a break, I thought it might be a good time to reminisce about the early days! 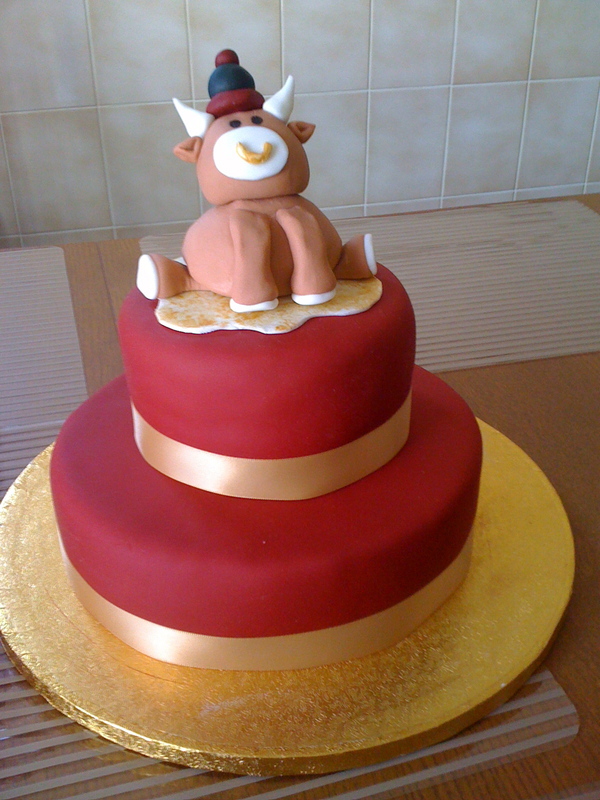 I took my first intro to cake decorating course in November 2009. In this course I learned royal icing and buttercream basics - stars, rosettes, shells, rose buds, daisies, roses, leaves, etc., and how to level, fill, mask and ice a cake in buttercream. The end result was a good foundation of piping basics, however I really wanted to get into decorating cakes with fondant. My first fondant-covered cake was done in January 2010 for my nephew's 1 month old celebration. I did some 'research' using Google and found some videos on YouTube in order to learn how to cover a cake in fondant and also how to do some basic animal figure modelling. 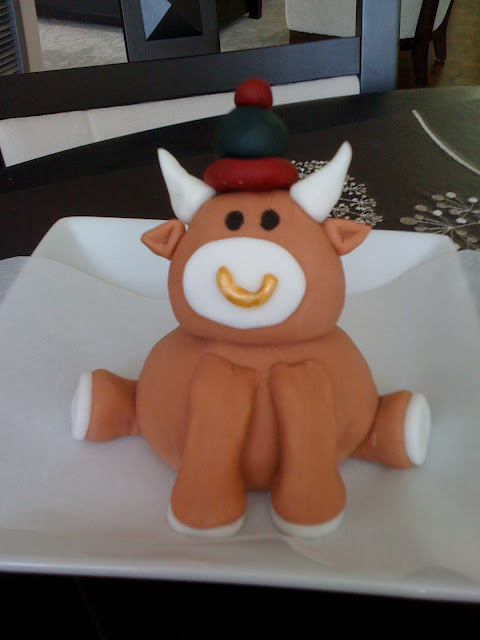 My nephew was born in the year of the Ox, so my first fondant figure was a very chubby ox. I attempted to make modelling paste by adding tylose powder to fondant (which is still how I do it now), but at that time, I did not know about letting the fondant set for a few hours to a day prior to modelling with it, so the fondant was still quite soft. The result was a Chinese ox that became obese by the next morning. I also had not known about letting the body set before putting a large head on the body, hence the head had sunk back a bit so that he was looking up a little. I attempted to fix this by sticking a piece of fondant at the back of his neck to hold his head up properly - enter neck fat on my already obese ox. I was really anxious about covering my first cake in fondant as I had read about all of these terrible things that could happen, such as lumps, air bubbles, tearing, cracks, etc. It was simpler than I thought! Beginner's luck I guess. The cake was a butter cake filled and masked in vanilla frosting. I covered the little 5-inch cake with fondant first. It was perfectly smooth - I was so happy! The perfection did not last long. I moved my cake over to roll out the fondant to cover the 8-inch cake. While rolling out the fondant, I put the end of the rolling pin into the 5-inch cake. I smoothed it the best that I could. I've said it before - there is always a back of the cake. Lesson learned: move your covered cakes away from your workspace for safety! So, this cake was my first fondant-covered cake. Although I received a good foundation in my intro to cake decorating course, I think that it's important to know that you can learn so much with reading various free resources on the internet. It is helpful to look at several different resources on the same topic (there are many different opinions out there!) and then decide what makes sense for you. This cake was an encouraging start and the beginning of a wonderful new hobby.